HUGE Price Reudction! Spectacular one-of-a-kind-waterfront-property! Contemporary, gated estate in gorgeous private setting near Lago Vista Golf Club with over 180 ft of deep water Lake Travis frontage. 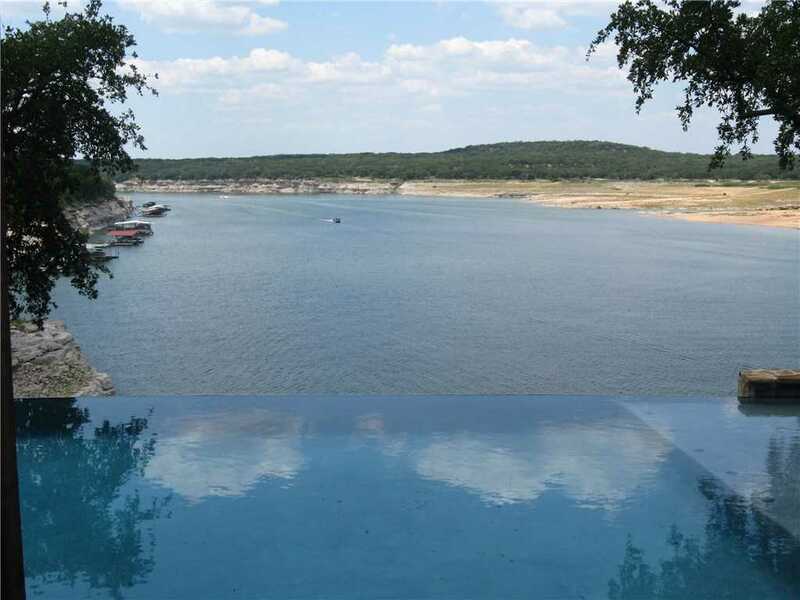 Inviting negative edge pool surrounded by an outdoor entertainment area overlooking panoramic views of the lake and surrounding Hill Country. Beautiful, 1+ ac lot with nice boat dock Gotta see this one – nothing like it on the north shore. Call first for gate code.